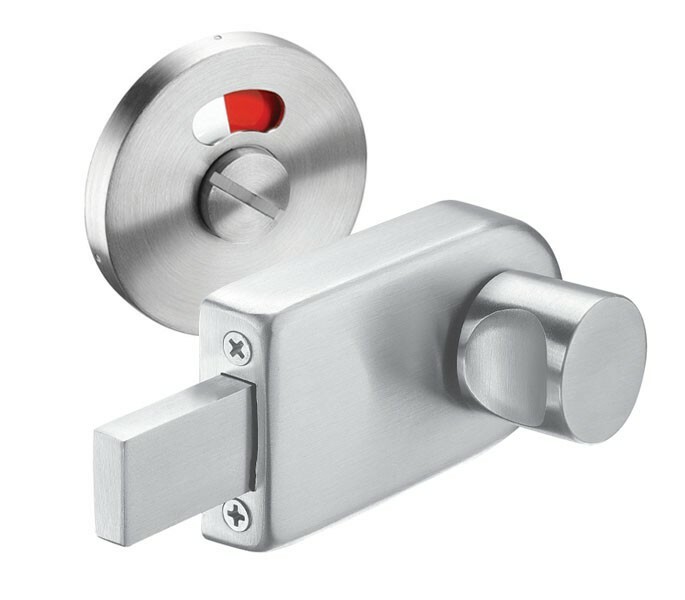 These sturdy toilet cubicle locks are the perfect choice for those seeking cubicle locks with a LRV of 45 and featuring a high contrast indicator to aid the visually impaired user. 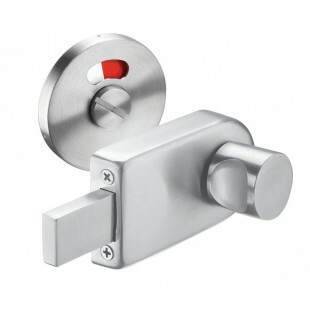 These high-quality toilet cubicle locks with emergency release feature grade 304 stainless steel outer castings and a powder coated zinc inner plate and inner rose to prevent corrosion. This product is sold singly with concealed bolt-through fittings and features a bolt and cam receiver casted from one piece of stainless steel for increased strength.